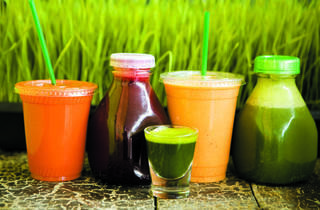 Two new juice bars specializing in cleanses (a six-juice-a-day diet for three to seven days) opened in the detox-eager months of early 2011: Green Corner (in Bucktown) and Peeled (in Lincoln Park). Let your senses tell them apart. The signature “Green Corner” tastes like drinking a rustic kale-and-celery salad in the form of a thin broth. But like a good salad, the greens are balanced with a blessed bit of tart lemon and sweet apple. A very nice cult. 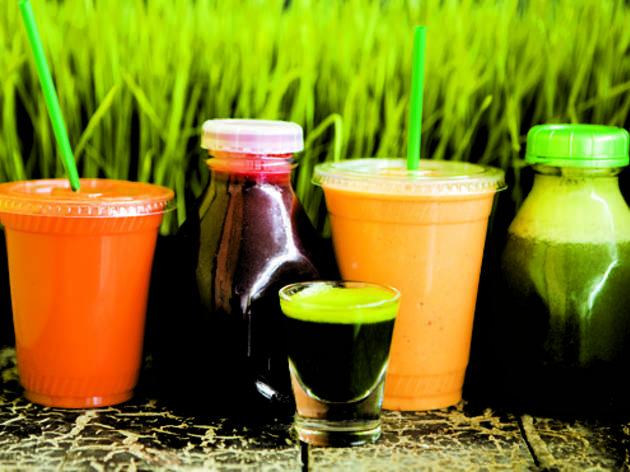 Drinking a juice here is not a breakfast or snack: It’s a gateway to the cleanse. After watching stem after stem of leafy greens head into the juicer, I was pleasantly surprised that the C’est La Vie’s frothiness and sweetness from pineapple disguised the kale in the seafoam-colored drink almost completely. An affirming life-coach’s office. Keith Pegues, the friendly owner, encourages healthy drinking, at your own speed.